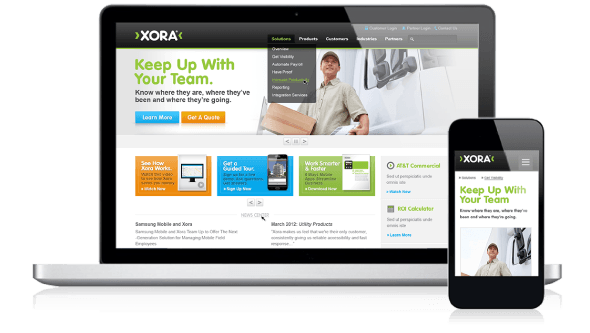 Xora’s mobile technology helps field service operations run more efficiently. munsonDesign designed a fully responsive website that looks great on mobile phones and tablets—as well as the desktop. Envisioning the future of cars. 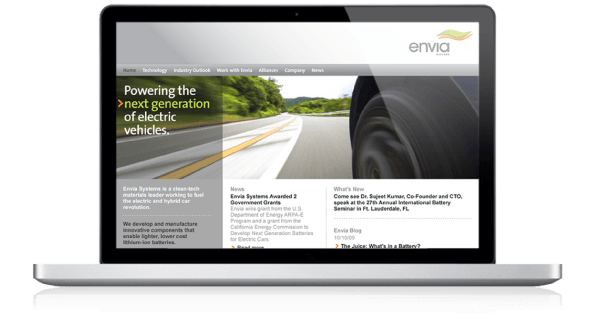 Twice the energy, half the weight, three times the life: that’s what Envia Systems brings to electric car batteries. munsonDesign branded and designed a website to get the word out. Oracle tapped munsonDesign to create some new and different visual concepts for the company’s homepage at Oracle.com. Educating the world for free. 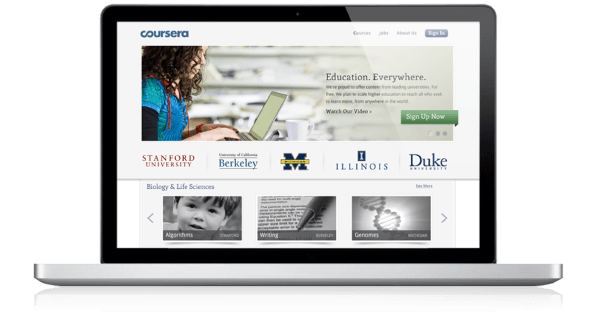 Coursera brings world-class university courses to the masses, for free. We created a brand and scalable website design that this startup uses to present and promote its myriad of courses. Building a global music fan base. Internationally known DJ Paul Oakenfold has worked with Madonna, Justin Timberlake, U2—and munsonDesign. We created this website to help the producer keep in touch with fans and get his music out. Branding a better way to pay. 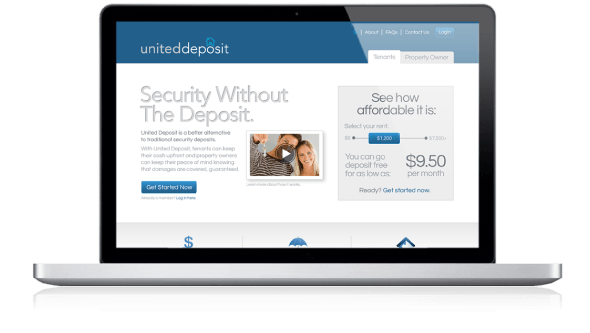 We developed the no-nonsense visual identity and website design for this start-up that eases the security deposit process between landlords and tenants. Telling a family story with pictures. This small winery has a big story to tell about generations of family and its history in Russian River Valley. 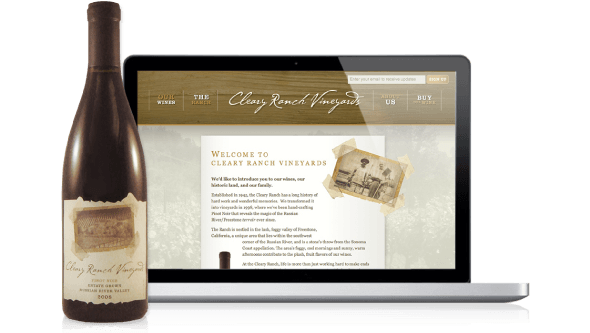 We created a brand that feels just as rich, and extended it to the website and bottle labels. 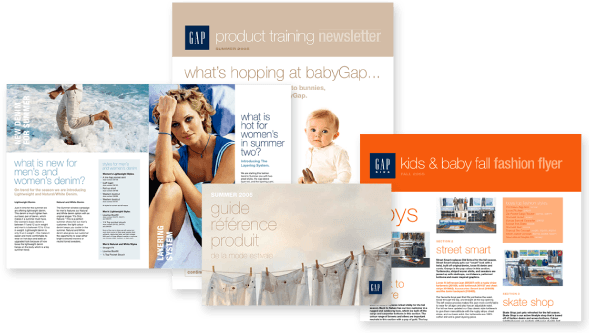 munsonDesign cost-effectively designs and produces internal training and communication materials for Gap that have boosted the effectiveness of its store employees. Habitat for Humanity’s annual report is humble, yet still visually engaging. 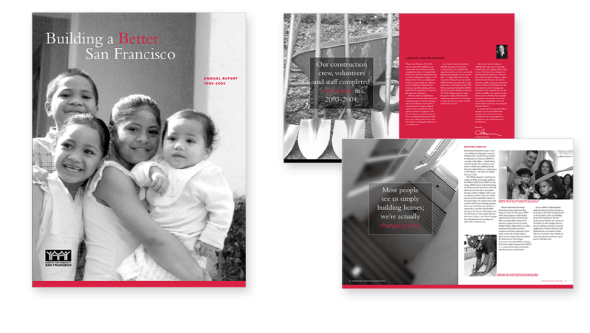 We took a humanistic approach to typography and chose photographs focused on beneficiaries. Design is our core business, but don’t pigeonhole us. We also gather research, define strategies, develop prototypes, conduct usability testing, craft messaging and produce spot-on final products. Whether you need a redesign of your entire web presence or one-off landing page, we’ll handle it from soup to nuts. Consumers and businesses are going mobile. Responsive web design and interactive apps will ensure you’re ready to meet them there. Sometimes, you need design for the real world: business collateral, packaging, trade show materials. You name it: we can do that, too. We have been very impressed by munsonDesign’s ability to quickly produce work that is modern, elegant, and that captured the character of our company. Tyler and his colleagues were always a pleasure to work with, and guided our team through a collaborative design process for the initial launch of our website as well as Coursera’s visual branding. We were extremely grateful to his team and happy with the results of both. We’re pleased to have chosen munsonDesign to work on our website. 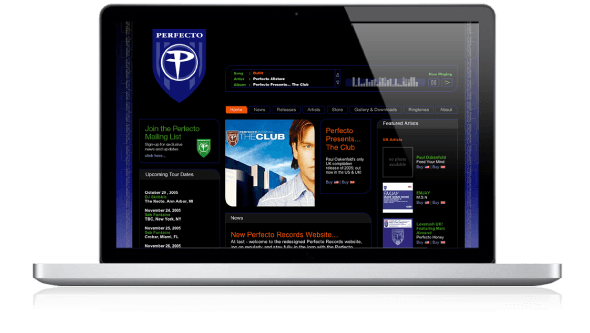 Their experience working with global brands, as well as dance music labels, made them a perfect choice, as you can see in the final product. Tyler and his team are always responsive to our needs, creative in their solutions, and proficient in executing and supporting our sites and systems. I recommend them frequently. Just like Buster Posey: Good eye! 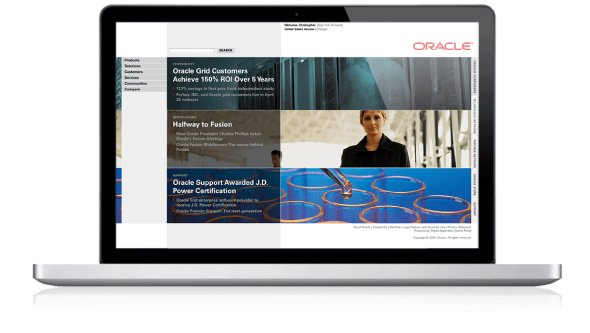 munsonDesign’s branding and website expertise made them a great choice to work on Oracle’s corporate sites. Their ability to provide creative design solutions in a short timeframe has been essential for our ongoing goal of creating fresh, timely sites. I look forward to working more with them in the future. munsonDesign’s work has impressed me on multiple levels. How could so many terrific characteristics and abilities find their way into one graphic design team? They really listen effectively to what our entire online acquisition team is seeking, and bring forward effective designs that produce results. It is a wonderful experience working with munsonDesign. Their talents, enthusiasm and ability to listen are instrumental in turning ideas into a design that is not only visually pleasing but also holds true to our brand elements. They are also sensitive to our deadlines and never fail to deliver. munsonDesign "gets it". Former Sr. Marketing Programs Manager, Palm, Inc.
munsonDesign is a pleasure to work with. 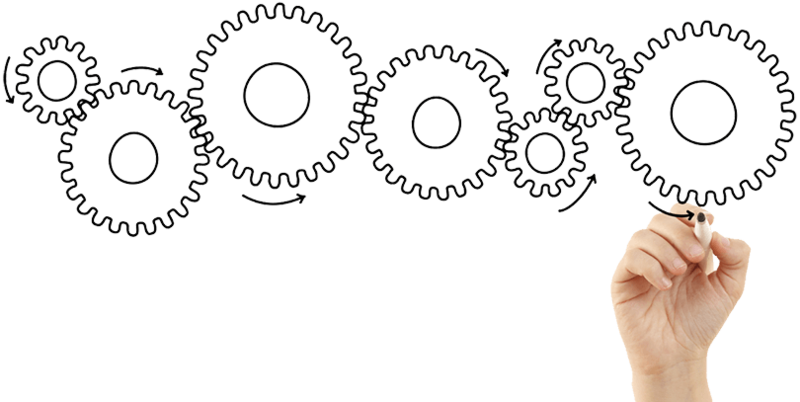 They listen to customer needs and provide deliverables fast. I particularly like the fact that Tyler really plays with the products to understand customer needs so that he can make educated design suggestions.